◆ Before you pay, make sure you have read this carefully. We accept T/T remittance to Gofair Inc's bank account in California U.S.A.
Notice: You will have to bear some extra remittance charge. Or you can pay by Wechat, which is free from any remittance charge. 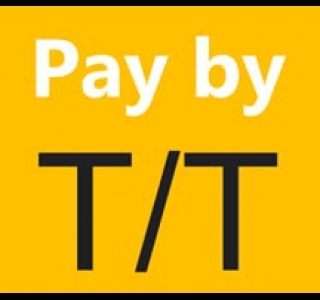 It takes 3 steps to pay by T/T. Pls remit the corresponding USD amount to following account. 1) screen capture of your payment to notify us. 2) your certificate of incorporation. Once your payment has been confirmed, your membership will be upgraded within 24 hours. In order to assure quality of Gofair members, newly paid member will undergo a 7-day probation period after your payment date. This process is called Accreditation Process. Within this period, you may be required to provide additional company information, and upload at least 2 product videos. Members who fail to pass our probation period, will be instantly deprived of his paid membership, and get 100% refund within 24 hrs. Tips: Typical reasons for not passing Gofair's Accreditation include: unable to supply adequate or credible company information, surplus industry, illegal product, lack of enough computer knowledge...etc.